Some of the most common options for hardscape services in the Greenville, Simpsonville area include walkways, patios, driveways, and water features. Hardscape in Greenville – Most people are familiar with landscaping, which involves planting bushes, plants, trees and other greenery in your yard to add a lush feel to the space. But hardscaping is something that you may not be as familiar with. Hardscaping uses manmade features to complement your landscaping. These features might include paths, retaining walls, and other options to add depth and functionality without taking away from the soft greenery. Some of the most common options for hardscape services include walkways, patios, driveways, and water features. Walkways often lead to various parts of the yard, encouraging people in the outdoor space to stay off the grass. A patio is the perfect spot to relax, and having a nicely paved patio will offer a flat surface to place a grill, patio furniture, and other outdoor décor pieces. Driveways are commonly hardscaped because your vehicle needs a flatter surface for driving and parking. Many property owners think that the only options are poured concrete or asphalt; however, adding pavers to your driveway will help create a unique look and feel that sets your property apart from others on the block. 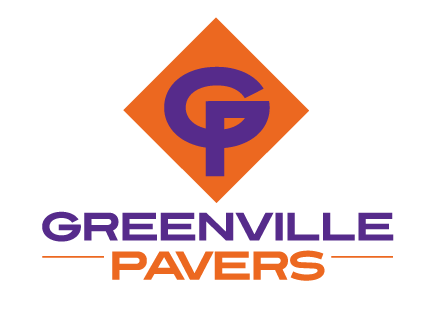 Here in the Greenville, Simpsonville, SC area, you can rely on us at Greenville Pavers for all hardscape services for your property. When you create a more functional and appealing outdoor space, you may be surprised to find how much more time you and your loved ones will spend out there. Hardscape elements installed by our team can help you make this dream come true.